Kevin Harvick completed the Sonoma (Calif.) Raceway sweep in 2017 by winning the NASCAR K&N Pro Series West race on Saturday before following it up with a dominant performance on Sunday in the Monster Energy NASCAR Cup Series race. Harvick wheeled his No. 4 Mobil 1 Ford Fusion for Stewart-Haas Racing across the finish line first ahead of teammate Clint Bowyer after leading twice for 24 laps. Harvick is aiming for a second straight NASCAR Cup Series win at Sonoma when he returns for this weekend’s Save Mart 350k on the 10-turn, 1.99-mile road course nestled in California wine country. The demands on both man and machine throughout a road-course race can test even the most talented drivers and sophisticated mechanical equipment. 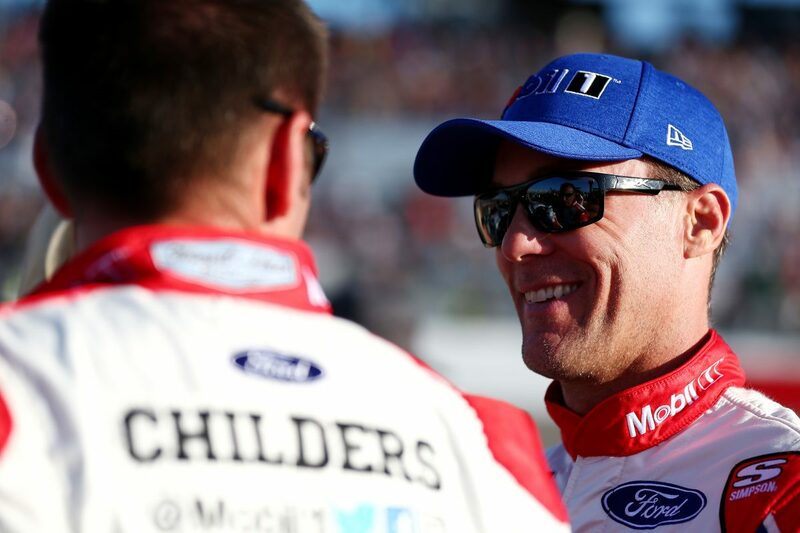 Thankfully, Harvick has an equally impressive partner in Mobil 1, an entity known for standing up to the toughest challenges. In addition to its high performance on the racetrack, ExxonMobil will highlight its newest synthetic motor oil, Mobil 1 Annual Protection, which allows drivers to go one full year – or up to 20,000 miles (whichever comes first) – between oil changes for all vehicle types. Guaranteed. On Friday, June 22, Harvick and comedian Casey Webb of Man vs. Food, both stars of the latest Mobil 1 television commercials, are teaming up for the Mobil 1 Annual Protection “20K Road Trip” event at the first 5,000 mile “pit stop” at Sonoma Raceway, which marks the first of four legs of the cross-country journey. The Mobil 1 20K Road Trip features two cars, including a 2014 Ford Fusion Titanium, which will drive 20,000 miles across 48 states experiencing a variety of climates, altitudes, elevations and driving styles over the next four months. The first pit stop at Sonoma marks the end of the road trip’s first 5,000 miles. Harvick will be available to speak about the 20K Road Trip, the motor oil testing involved in this endeavor, and his NASCAR season. In addition, some lucky onsite fans will be selected to have their vehicle’s motor oil changed with Mobil 1 Annual Protection, completed by Harvick and Webb with help from ExxonMobil partner, Yoshi. Harvick, the 2014 NASCAR Cup Series champion who is currently ranked second in points, knows how to stand up to the demands of road-course racing. His win last year came from 12th in the 38-car field, and it enabled Harvick to become one of only three active Cup Series drivers who have won at both, purpose-built road courses on the NASCAR Cup Series schedule – Sonoma and Watkins Glen (N.Y.) International. Kyle Busch and Martin Truex Jr. are the other two drivers. A second Sonoma victory would be on top of Harvick’s series-leading five wins already this season, which has allowed him to earn 26 playoff points in his quest for a second NASCAR Cup Series title. As Mobil 1 kicks off its 20K Road Trip, Harvick will kick it into gear, literally and figuratively, on the twists and turns of Sonoma. What is the first thing that comes to mind of when you think of Sonoma? Sonoma is widely regarded as the more technical of the two road courses that have been mainstays on the Cup Series schedule. What are the big differences between Sonoma and Watkins Glen?